All Webelos and Arrow of Light Scouts in the Glenview area, and boys who have either completed the fifth grade or are at least 11 years old are invited -- along with their parents -- to join with Troop 69 Boy Scouts and adults for any and all of the challenging and fun events geared specifically to allow you to get to know our Scouts and to learn what Troop 69 has to offer. Webelos and Arrow of Light Scouts: please consider attending either as a Den, or as an individual Scout with a parent. All prospective members should attend events with at least one parent. You are, of course, also welcome to attend any of the Troop 69 weekly meetings or events. 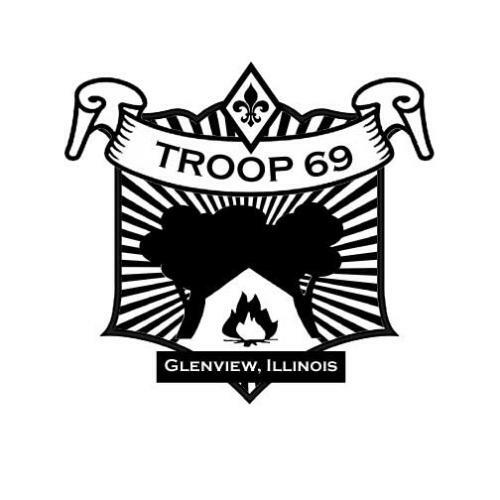 Troop meetings are held most Wednesdays during the school year in the social hall at Glenview United Methodist Church in Glenview from 7:00 - 8:30 pm. Please call ahead to insure the location and time has not changed. Please do not hesitate to contact Mr. Stephen Gerth, Troop 69 Committee (847-998-1793 or via email at Troop69BSA@comcast.net) or Scoutmaster Dave Schwartzberg (847-559-4151 or via email at david.schwartzberg@gmail.com) with any questions you might have or to RSVP for any of these events..
Come and see what adventures and learning experiences Troop 69 has to offer.